This position is located in the City of Yellowknife, situated on the Northern shore of Great Slave Lake; Yellowknife is the capital of the Northwest Territories, Canada. The population of Yellowknife is 20,000. This multi-cultural community is welcoming and the wilderness is your backyard. All the big city amenities are available without the big city issues. There are year-round outdoor activities including hiking, fishing, snowmobiling, golf, boating and canoeing, and a wide variety of individual and team sports. The City of Yellowknife and businesses maintain fantastic recreational facilities for residents, including a 240-metre indoor track, a pool, three skating rinks, an indoor soccer field and an abundance of walking trails. The city is also home to a vibrant arts and theatre community. After moving here, Yellowknife quickly becomes a place you call home. For more information about the community please visit www.yellowknife.ca. 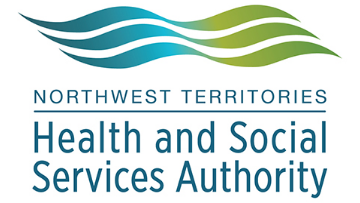 The Northwest Territories Health and Social Services Authority (NTHSSA) offers challenging and exciting careers in health and social services delivery and administration in Canada’s North. The Territorial Authority has service locations in communities across the territory and a staff of more than 1,600 serving over 43,000 residents of the NWT and 5,900 residents of the Kitikmeot Region of Nunavut. Challenging work, welcoming communities, and expanded opportunities are some of the benefits offered to employees of the NTHSSA. Reporting directly to the Yellowknife Region COO, will work closely with their COO and with the NTHSSA Territorial Manager supporting this program area, to ensure that client and family needs are being supported and addressed within their regional catchment area; and to identify and address program challenges and opportunities for improvement, establish program objectives for the region, and to report on and contribute to the evaluation of the effectiveness and efficiency of the program delivery in the region. They will also contribute to the development of the program area across the territory through their participation on cross-territory initiatives and projects. A Bachelor's degree in social work, a minimum of five (5) years direct experience as a child and family services social worker, combined with a minimum of five (5) years of direct experience managing child and family services programs. Completion of a Master in Social Work and/or a Management Program would be an asset. Must meet GNWT Professional Registered Social Worker Requirement. Must be eligible for appointment as a Child Protection Worker.